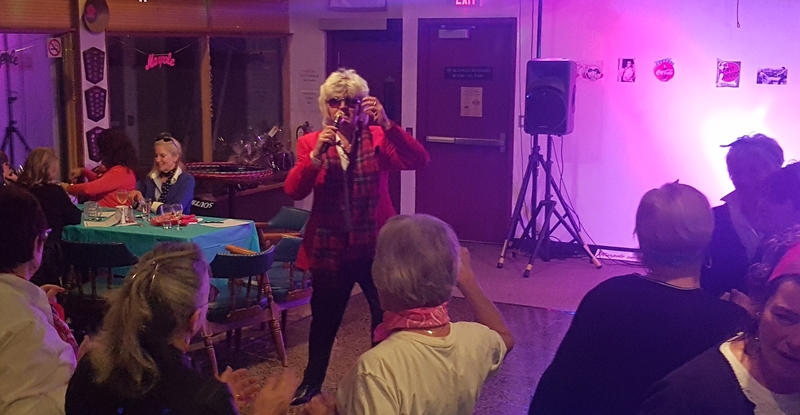 Marpole Ladies Bonspiel – ROD STEWART & MOTHER NATURE SHOW UP TO PERFORM! ENTERTAINMENT WAS OUTSTANDING! What a performance by our entertainer with Elvis and Rod Stewart hits! We had an interesting and unique end to the bonspiel. Unfortunately, the power went down at around the 5th end of the C quarter finals and did not come back in time to complete the bonspiel. Since it was deemed it would be impossible to reschedule the completion of the spiel, it was felt the fairest decision would be that all remaining teams would share in their event’s winner’s pool of money and all were declared winners. We appreciate all the ladies teams for choosing to bonspiel at Marpole and we hope to see you back next year.